People who are trying to solve tough economic, social, and environmental problems often find themselves frustratingly stuck. They can’t solve their problems in their current context, which is too unstable or unfair or unsustainable. They can’t transform this context on their own—it’s too complex to be grasped or shifted by any one person or organization or sector. And the people whose cooperation they need don’t understand or agree with or trust them or each other. Transformative scenario planning is a powerful new methodology for dealing with these challenges. It enables us to transform ourselves and our relationships and thereby the systems of which we are a part. At a time when divisions within and among societies are producing so many people to get stuck and to suffer, it offers hope—and a proven approach—for moving forward together. 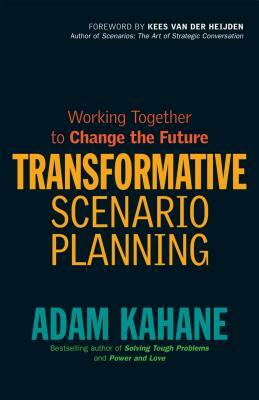 Adam Kahane had pioneered the development and use of transformative scenario planning throughout the Americas, Europe, the Middle East, Africa, and Australia. He is a partner in the Cambridge, Massachusetts, office of Reos Partners and an associate fellow at the Saïd Business School of the University of Oxford.